Using hydroacoustic equipment we can create and extremely detailed scan of the bottom of your lake to create an up to date contour map. This is important to have because as water bodies age the bottoms change. 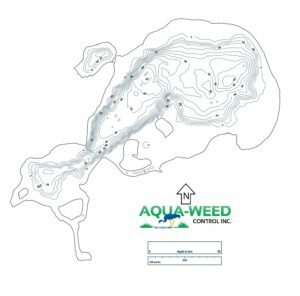 Having the ability to see how they are changing are important to us to create the best treatment plan, but it is valuable to the homeowners for recreation use as well as possible water body succession. We can create maps for all sizes and shapes. It can be a big 300 surface acre lake or it can be a small pond in your back yard. 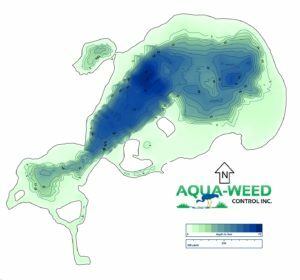 We can create several types of maps for you: color coded, black and white and a 3-D lake model.